In the past year I was fortunate to have been introduced to Elden Nelson. For those of you into cycling or who like to read a very funny and often times emotionally engaging blog, you may know him as the Fat Cyclist. Elden’s story is a familiar one – in that his wife Susan was diagnosed with breast cancer in 2003 and for the past 5 ½ years has waged an unbelievably noble fight against the disease that over time ravaged her entire body (you can read a much better version of Susan’s fight here). What is unique about Elden, Susan and their family is that not only have they waged a tireless battle against the cancer within their own home, they have taken the fight worldwide…through Elden’s blog and the influence he has become to people everywhere. His readers include people from all walks of life including cyclists, cancer survivors, those currently fighting cancer, friends and relatives of cancer survivors as well as those who waged the battle as long as they could. 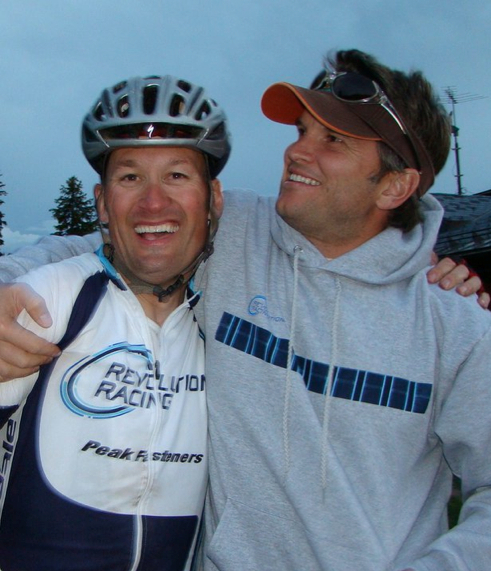 Lance Armstrong is one of the more influential followers of Elden’s blog. As well he should be. Because as near as a few of us could surmise on a ride up the canyon this morning, Elden and Susan’s efforts have likely generated close to $1 million for Lance Armstrong’s LiveStrong Foundation (including a staggering $506K generated so far this year). Hence the reason for my message to you today. Susan passed away last night. I didn’t really know what I could do to help until late last night, when I decided to send this message to everyone I could asking for your help to reach Elden and Susan’s goal of raising $1 million in 2009 alone. If you are willing and able please click here to visit Elden’s LiveStrong page and donate whatever you can – $5 is a really great start. I also encourage you to pass this post along to as many people as you can to help find a cure and to visit www.fatcyclist.com to read more about what Elden is doing. Over the last month, Elden has changed the mantra from “Win Susan” to “Fight Like Susan”. Susan did her part (and then some) – now it’s our turn to Fight Like Susan.